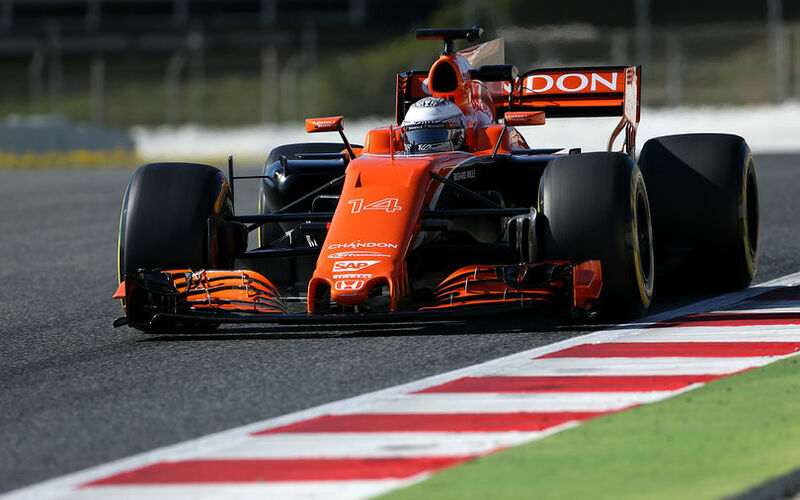 McLaren-Honda enjoyed a more fruitful and productive day of running on track at the Circuit de Barcelona-Catalunya on Wednesday. The team was able to work through a number of set-up configurations, and completed various aero correlation tests using rakes and flow-vis paint. Despite a cold start to the morning, track temperatures increased during the course of the day, enabling the team to carry out its scheduled run plan, although the wind picked up across the circuit during the afternoon. “The most important thing we can take from today is that we were able to do many more laps than both Stoffel and I could complete on our first days in the car", said Fernando Alonso. "I’m happy that we were able to push through our plan for the day, gather a lot of new information, and learn a lot about the car, which is very positive after the issues we faced earlier in the week. “The car feels good, and we’ve already made a lot of tweaks to the handling and set-up of the car from the first day. So far, the car is responding well to our changes, and overall we are seeing small improvements here and there, day-by-day, in different areas. Racing Director Eric Boullier chimed in with these feelings, conceding that Wednesday was indeed a much needed day of reliable running. “Today has been a much more successful day", he said. "We’re happy that we’ve been able to execute our testing programme proper with a full day of running. I’m pleased to report that there were no major issues, and the team completed our planned run programme for the day. On the engine side, Honda were the source of the issues on Monday and Tuesday, and are hence relieved to be able to have a day without problems. “The past two days have been difficult for us due to the power unit issues we encountered", said Yusuke Hasegawa, Honda R&D Co. Ltd Head of F1 Project & Executive Chief Engineer. "However, today we were able to make some progress and complete our programme, in which we tested the durability and deployment of the PU in accordance with our schedule.